Eagles Nest Jupiter Florida is a unique neighborhood that has access to its own private boat ramp and dock facility for its residents. 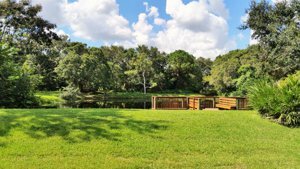 The Eagles Nest community is located along Loxahatchee River Road, one of Florida’s most beautiful roads, and twists along the trail of the Loxahatchee River, a federally designated wild and scenic river. Eagles Nest residents enjoy quiet upscale living in a rural setting east of I-95 in Jupiter. The homes in Eagles Nest are ideal for boat lovers thanks to the easy water access just across the street. Residents at Eagles Nest have plenty of gorgeous living space, and Jupiter’s best shopping, dining, and recreation are only a short drive away from I-95 and the Florida Turnpike. Real estate in Eagles Nest is made up of only 98 single-family homes. Residents enjoy half-acre lots, and some homes even have waterfront views. Each Eagles Nest home was custom built in the 1980s, and many have been recently upgraded with modern amenities. Some have private backyard swimming pools. The exteriors feature designs that might be seen in New England homes, so they stand out from the area’s Mediterranean-inspired homes. 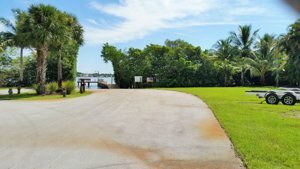 As mentioned, the boat ramp and private dock across the road are convenient for boat owners, making it easier to enjoy the beautiful Florida sun. Recreation options are plentiful for residents of Eagles Nest. 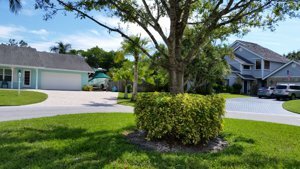 Homes are located on the north side of Jupiter, but everything is nearby. The famous Jupiter Inlet with its historic lighthouse and fishing facilities are only a short drive away. Juno Beach is great for swimming, boating, or simply relaxing. Jupiter Community Park has fun for all ages, including picnic areas, tennis, basketball and volleyball courts, playgrounds, and soccer/football fields. Eagles Nest homes are close to Jupiter’s excellent shopping and dining. To find the latest fashions, the Gardens Mall features designers like Armani Exchange, PacSun, and Lilly Pulitzer in addition to department stores like Saks Fifth Avenue and Macy’s. Shoppers can grab a bite to eat at The Counter Custom Burgers, P.F. Chang’s, and more. Outside the mall, local restaurant favorites include Copacabana Cuban Cuisine, Dune Dog Cafe, and French dishes at Le Metro. Harbourside Place, a new attraction located on the Riverwalk, also has many dining options. Visitors can attend events at the amphitheater and take in the breathtaking scenery while they eat, shop, or relax. Harbourside plans to expand up the Inlet District to provide even more entertainment. Across the street is a new luxury movie theater concept, Cinepolis, which has comfy leather seats, premium concessions, and a full bar so visitors can watch movies in style. 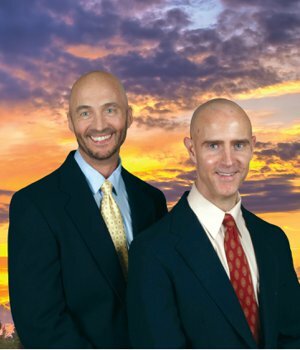 GET TO KNOW MORE ABOUT THE JUPITER AREA HERE. Residents of Eagle’s Nest are served by the School District of Palm Beach County. Many of these schools have A-rated programs, such as Jupiter High. For alternative education, several private schools are also in the area. See all currently listed Eagles Nest properties now available below. HOMES IN THE EAGLES NEST COMMUNITY WILL GO QUICKLY WHEN PRICED WELL. BE SURE TO GET ON OUR ADVANCED NOTICE LIST TO RECEIVE IMMEDIATE NOTICE OF THE LATEST LISTINGS PRIOR TO OR WHEN FIRST PRESENTED ON THE MARKET IN THE MLS.